Two all-brick buildings are located on this parcel. 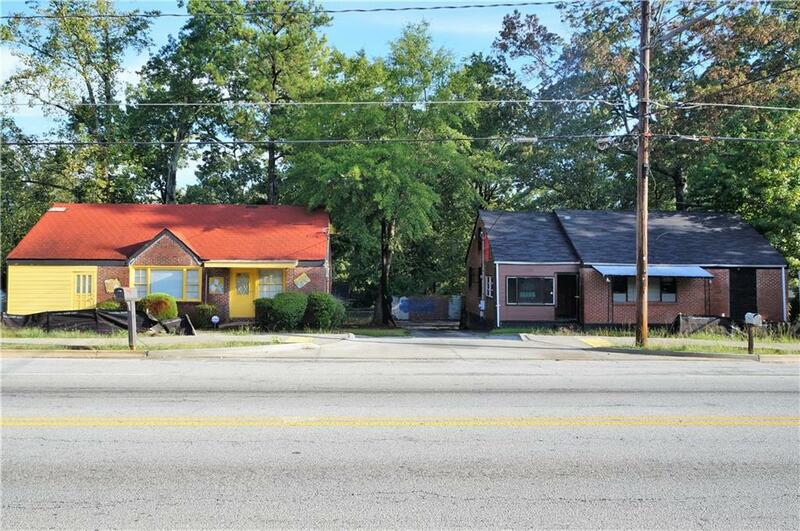 Location is in the fast-growing Candler Rd/Glenwood Rd commercial district and is in a very high vehicle and pedestrian traffic area. Parking is available in front and in the rear of the buildings. One building once was used for a daycare center. The other building was a retail store, beauty shop, and office for a car wash business. The property is offered "As Is." County will not permit property to be subdivided. Price is for both buildings.Building 2 (3306) is a 1 1/2 story building and is a fixer-upper.